Reading through these articles I couldn’t help but relate the questions and ideas back to the school that I work at. As I read “10 Times Schools Failed To Embrace Black Girl Students” by Essence Grant and “Black Girls Are Viewed As Less Innocent Than White Girls Starting At Age 5: Study” by Taryn Finley for Huffingtonpost.com I thought about videoing many of the young ladies that I work with everyday to get their view on the issues. I work in a fairly progressive school that attempts to think through some of these issues, but I would be lying through my teeth to say we have it figured out and we are place where all children feel safe and comfortable. Let's talk about hair. 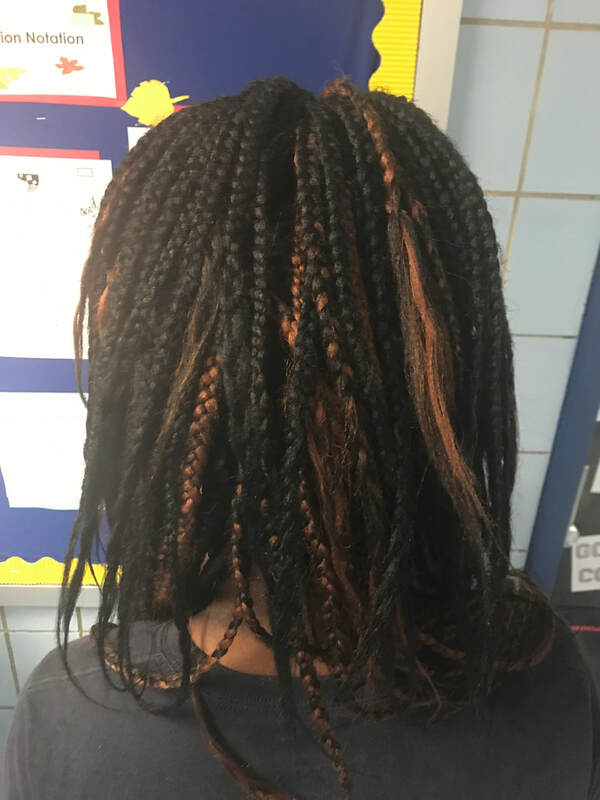 In the very disciplined, no excuses charter school I work, hair is one of the few ways that our children are allowed to express themselves. Our policies have gone back and forth around “natural colored” hair and deleting it. My question always is, “Natural to who? !” If we are being honest, the natural colors that most people are referring to most often appear naturally on white women. 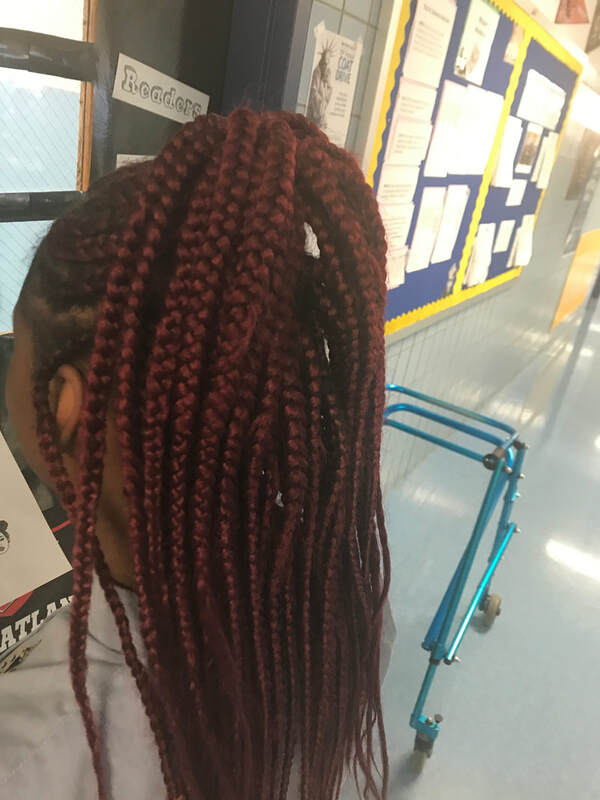 Last year, the principal took that wording out of the handbook as when we discussed it, we realized it was biased, particularly because we allow staff members wear their hair any color they want. This year, we have a new principal, and she insisted on putting the words “natural color” back into the handbook. Her argument is that pink, green, purple, etc. is too distracting. This was not this hill I wanted to die on to fight back with her, but I did not feel good about it. We’ve never discriminated about girls wearing natural hair, braids, corn rolls, or any other type of style. Every morning when I do handshakes, I try to compliment the ladies on their hair when they have changed it. Whether they are wearing braids, wearing it natural, have it thrown up, have it wrapped up, I want to make sure they know they are beautiful. Conforming to a white standard of hair should not be what warrants a compliment for beauty, they are beautiful however they choose to wear their hair. If we ever made rules against this that would be a hill I would die and fight for. We need to do more a society and as a school. I need to do more to support my black girls so they are no longer silenced in the ways our oppressive society has created. We root our oppression in hairstyles, but it is so much deeper. *How did you choose your style? *How often do you go to the salon? *How do you treat or take care of your hair? *What is your favorite way to wear your hair? *Where do you get your inspiration for your hairstyles? Below are pictures of beauty and snippets of their responses. I feel most beautiful when I wear my hair wrapped in a honeycomb style, or out with locs falling down my shoulders. When it's down, I feel powerful like a lioness! I also like to dye my hair brown and blonde, it makes my melanin POP!" - age 30"
It's not a temporary hairstyle. Its a hair journey, a lifestyle change." age 26 "
While so much of #professionalblackgirl videos are inspirational, I found this one to be particularly illuminating and relevant to this page and appreciating black hair.